Indie Retro News: Motorman - Excitebike meets the C64 with new footage! Motorman - Excitebike meets the C64 with new footage! Finally some C64 retro gaming news, as Throwback Games has just teased their upcoming arcade motorbike racing game ' Motorman ', which is going to be playable at AVCon (Adelaide video game and cosplay festival). 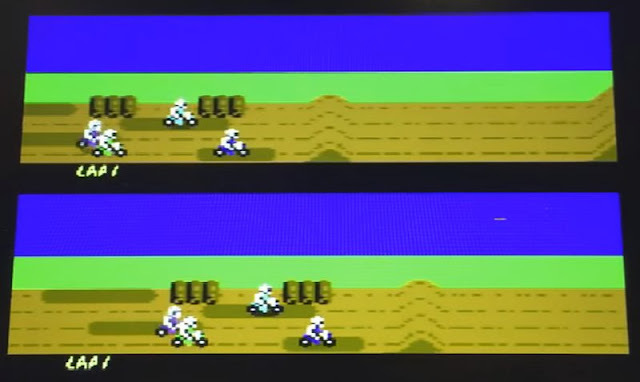 We featured this early development C64 game some time ago, and it looks as if it's going to be very much like the NES game Excitebike, where by you race along a challenging dirt track against other racers, pulling off the coolest tricks, while trying not to crash. To coincide with this news, the team behind the game released the new footage above, and have also said they'll be running a brand new playable demo of Motorman as well as Jam It on the C64!